Almonds have a special place in my heart. I mean, without them there would be no almond paste or marzipan. And that would be sad. Really sad. But today I am breaking with my normally sweet obsession with almonds and am opting for a more savory and spicy treat. Luckily I had quite a few almonds on hand. 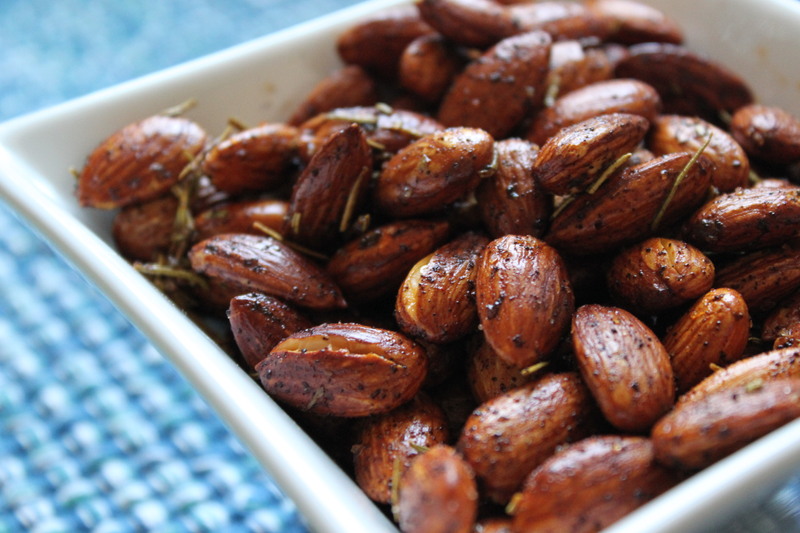 Roasting almonds is pretty easy and makes for a great gift. Just take oil, salt and a mix of spices, put them all together and bake for twenty minutes. Beyond simple. Today I am including a recipe that features rosemary and chili powder. They have been extensively taste tested and neighbor approved. Enjoy! 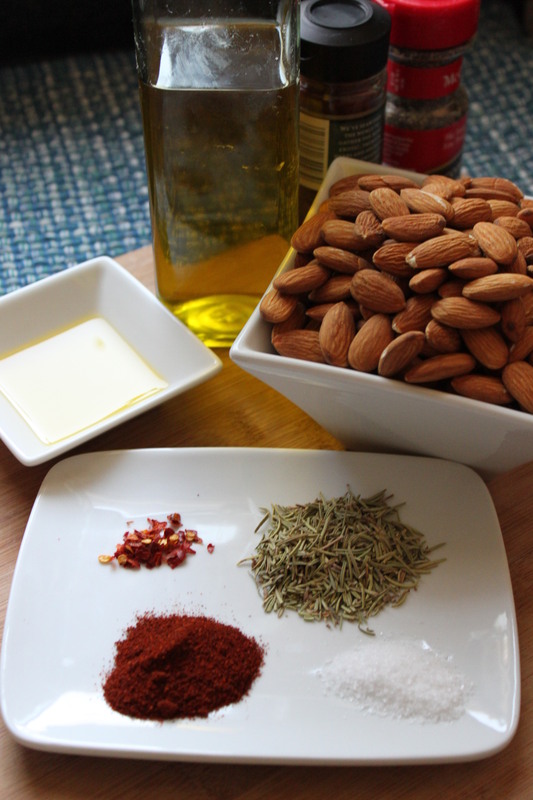 Mix spices and oil with almonds. Spread out on an edged cookie sheet lined with foil or parchment paper. Bake for approximately 20 minutes, allow to cool to room temperature. I am so trying this! YUM!!!! I was unsure about chili powder but it works really well with the rosemary. I love these almonds. Savory is right up my alley!